Ray Donovan, the series, is a lot like Ray Donovan, the character. It’s direct, to the point, isn’t afraid to get bloody and yet underneath the tough exterior — there’s a complex, emotional and ultimately disturbing story that lies beneath the surface. Ray Donovan follows the about-to-be-turned-on-its-ear world of Hollywood ‘fixer’ and Boston ex-patriat Ray Donovan. He’s the guy, who along with his crackerjack team (including Steven Bauer AKA Manolo from Scarface), who helps the problems of the elite in Tinsel Town disappear, usually by a combination of violence, deception and quick thinking. Donovan is seemingly living the life, but like with any good show, you know that’s going to change, especially when his father (Jon Voight) is paroled and is headed to reunite with his boys — Ray (Schreiber), the addict/alcohol/victim of childhood sexual abuse Bunchy (Dash Mihok) and the Parkinsons-adled former boxer Terry (Eddie Marsan). As luck would have it throughout this episode Donovan’s professional life is seemingly starting to unravel as his boss Ezra (Elliott Gould) wants to air all his and Ray’s dirty laundry in order to make things right with the universe, a teen pop star becomes obsessed with him causing a rift in Donovan’s marriage and his business associates all seem to have a problem with Ray (some of them justified, some of them not). If you’re a fan of the classic film noir of the ’40s and ’50s, you’re really going to dig the style and tone of Ray Donovan. The show is told in that same, slow-building, multiple storyline structure. There’s an air of tension and mystery in every scene of this premiere episode, just like any good noir would have. As for our leading man, Ray Donovan is an updated version of the classic Humphrey Bogart private eye. He’s got a classic style, fierce charisma, a blunt force trauma way of handling himself, a razor sharp mind and of course, a ton of demons that he’s carefully hidden under a fifth of whiskey and a wall of silence. There’s no one better to pull this off than Liev Schreiber. The actor, who really doesn’t get the credit or the high profile roles that he deserves, is perfect as the title character. He’s a physically imposing actor that’s highly eloquent yet can speak volumes with the intensity of his stare. 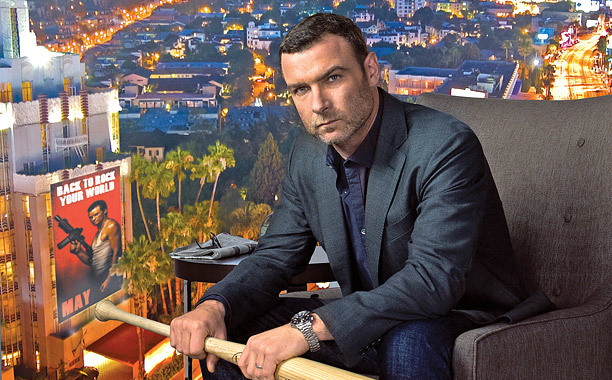 Schreiber convincingly makes Ray Donovan a legit badass who’s got a razor sharp mind and a wry sense of humor. He avoids the classic macho male lead cliches of being a quip machine or just all machismo and no smarts. In essence, Donovan is a more brutal version of Michael Clayton — he’s a problem solver who can use his fists and his intellect to solve anything. One of the major strengths of this series is the cast. Jon Voight is excellent as the super super shady patriarch of the Donovan family. He’s a charming, almost devil-ish figure who’s as oily as his slicked back head of silver hair. Watching Voight and Schreiber square off at the end of the premiere episode, is worth watching alone. Add in seasoned character actors like Eddie Marsan (LeStrade from the Robert Downey Jr. Sherlock Holmes films), Dash Mihok (who recently was the cop who minded after Bradley Cooper in Silver Linings Playbook) Elliott Gould, Peter Jacobsen, Johnathon Schaech, Katherine Moenning (The L Word) as well as Frank Whaley and Rosana Arquette (neither who appeared in this episode) and you’ve got probably the best cast on television right now. Ray Donovan has set itself up a for a tremendous run as Showtime’s next big hit. It’s a series that is promising multiple intriguing and complex storylines that’ll be executed by actors who have already drawn us in and awestruck us with their performances in just the first episode. 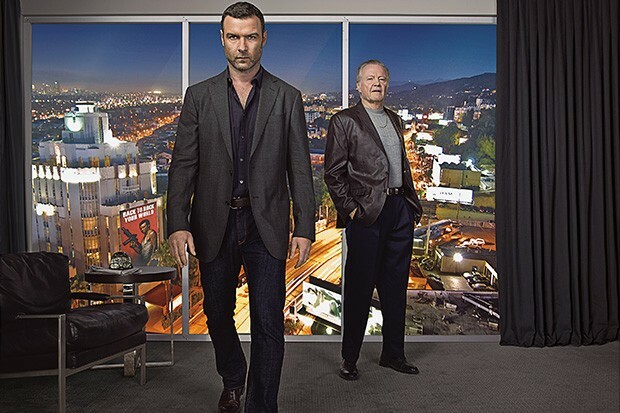 Put this one on your radar now, because Ray Donovan is the series to be watching this summer.